Virtual and augmented reality are shifting into mainstream media faster than most marketers realize. Just like the rise of social media, and eCommerce, if businesses don’t stay up-to-date on the latest emerging technology they risk financial loss, and failure. The good news is it’s far from too late, and businesses already using social media as a marketing tool have an advantage in that VR and AR seems to be extending from pre-existing social platforms. Who Is Dabbling In Virtual & Augmented Reality? Ever since Snapchat rebranded to Snap, the company has been adamantly pushing their new identity as a “camera company”, alongside the release of Spectacles. These camera sunglasses allow you to take photos with the press of a button, and wirelessly share the snaps to Snapchat. Here’s some instructions on how to use the World Lenses with your Snapchat app today. Facebook acquired Virtual Reality headset company Oculus in 2014 with plans to expand into the VR world. 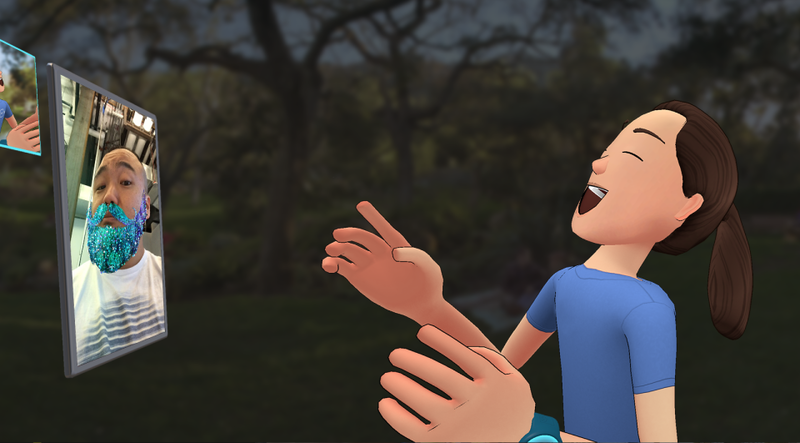 Recently, they launched “Facebook Spaces“, a beta VR experience that allows Facebook users to build 3D cartoon versions of themselves, hang out with friends, share photos, draw 3D objects, and do video calls. Right now, users must use an Oculus Rift headset to participate in Spaces. There’s not exactly much to do in Spaces, but that doesn’t seem to be an issue for the Facebook VR team, who are most interested in how current users are interacting with their Facebook friends, rather than opening the world up to strangers. If the experience doesn’t make your existing relationships with family and friends on Facebook better “then it doesn’t belong in here. At least not now,” Facebook Head of Social VR, Rachel Rubin Franklin, told Wired. Learn more about Facebook Spaces, and how to participate in the beta, here. How Will VR and Augmented Reality Impact Influencer Marketing? The world of VR and AR is still new, but the technology is evolving quickly, and influencer marketers will undoubtedly become wrapped up in this new form of communication. We’re all familiar with trying on clothes in a brightly lit dressing room, looking into the mirror, and wondering, “Will this look good when I go to that outdoor event?”. With virtual reality, shopping is probably going to take another leap into the future. Virutal reality can transport us into different settings without leaving the comfort of our home. In Tom’s flagship California store they have started using VR to allow their customers to experience what it’s like to donate shoes to children in a remote Peru village. The popular shoe brand has been popular for it’s one-for-one program, where if you buy a pair of shoes, they donate another pair to children in need. There’s a few more Tom’s stores across the United States offering this experience – simply ask to try the “virtual reality chair”. Sky’s the limit when it comes to VR & AR, but one thing’s for sure, the brands who end up on top aren’t just dabbling in next-level technology, they’re thinking hard on how to incorporate it into existing programs and campaigns. Keep reading the Acorn blog to get the latest updates and news on everything digital and influencer marketing.